That’s because the theory of evolution as adaptation can’t explain why nature is so beautiful. 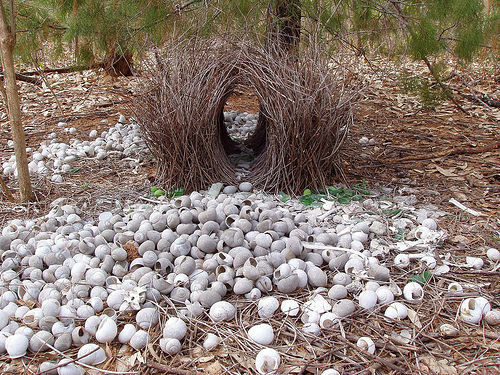 Nature’s nature is to be excessive when it comes to design, and there’s nothing random about it. 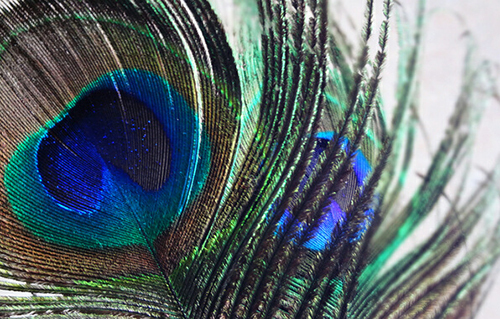 The beauty of nature is not arbitrary, even if random mutation has played a role in evolution. Robinson Jeffers’ luscious poem eased its way back into my memory this morning when I read Deborah Barlow‘s post Useless Beauty on her blog Slow Muse. I’m grateful for her permission to share it here – for the benefit of those of us who might be in need of an awe-and-wonderment recharge. 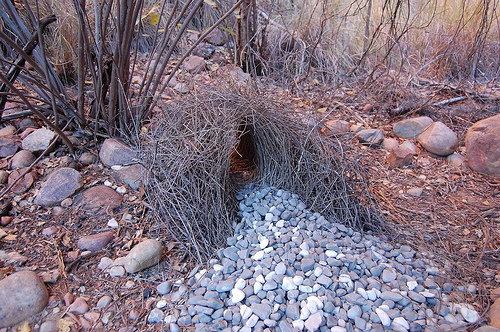 Who needs a peacock’s tail when you can build this for your lady love? 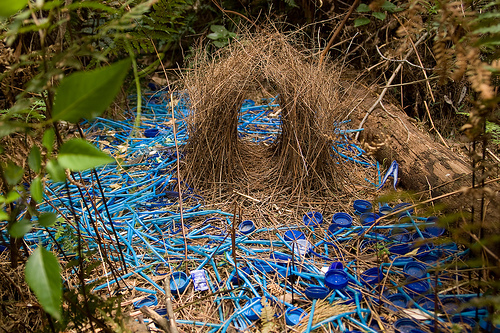 The bower created by a male bowerbird. David Rothenberg is a jazz musician and a professor of philosophy. He has written a number of books, several of them focused on the interface between natural sounds (like the songs of birds and whales) with jazz and other musical forms. In his most recent and thought provoking book, Survival of the Beautiful: Art, Science, and Evolution Rothenberg moves into the visual realm, exploring how beauty fits into the current concept of Darwinian evolution. Is beauty part of natural selection? Can its abundance in nature truly be explained by sexual selection? [These are] not structures to live in, but for the females to admire. They are built to be one thing — beautiful.